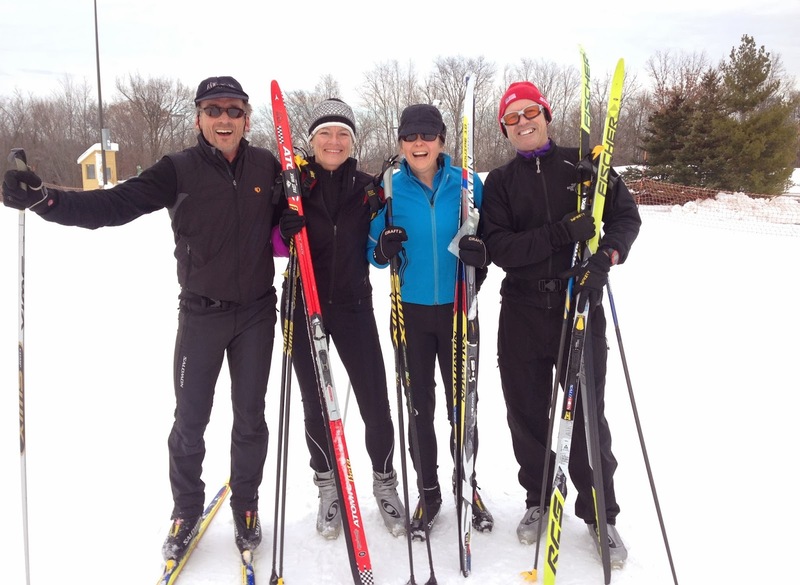 First Day Nordic Skiing for the 2013 - 2014 Season! Wow! 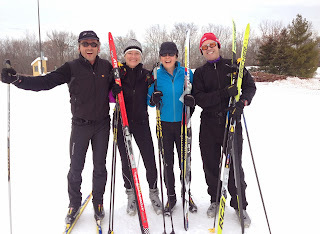 First Day of Nordic Skiing this season! Did I mention that I love Minnesota? Okay, we have not had any snow to speak of here in the Twin Cities but, as many areas are doing now, snow making has come to Nordic Skiing! The first area to open for skiing in the metro area this year is called Elm Creek, which is part of the Three Rivers Park District. 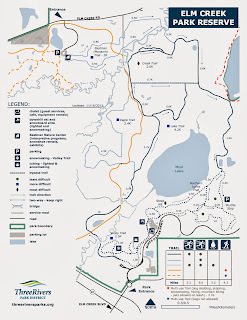 In the two years that I have lived here I had not been to Elm Creek and instead had done most of my skiing at the Theodore Wirth Park since it is so close to my loft in the North Loop in downtown Minneapolis. Elm Creek is about 30 minutes away. 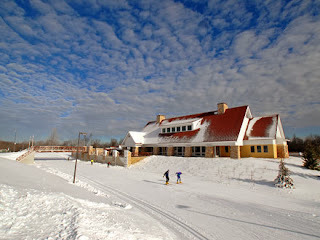 The picture is from the Elm Creek website. I actually started out the day not even thinking of skiing but my friend Geoff called and after some thought of what I would not get done on Saturday as planned, I was gathering my stuff together and driving up to meet Geoff. Joining Geoff were Deanne and her friend Carol. The picture was taken after we were done for what my Suunto logged as 11K. We were each skiing at our own pace, however, as you just kept looping around. Pictured from left to right are Geoff, Carol, Deanne, and I. 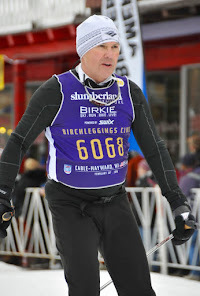 The skiing was excellent and there was a sizable group of skiers there even with only a 1.2 mile loop open. The terrain has some nice ups and downs but nothing to steep. For the first time out on skis, however, I did get my heart rate up pretty high. I had not been on my bicycle in three weeks as well but had been keeping up with yoga which helps with flexibility and balance although not much aerobically! 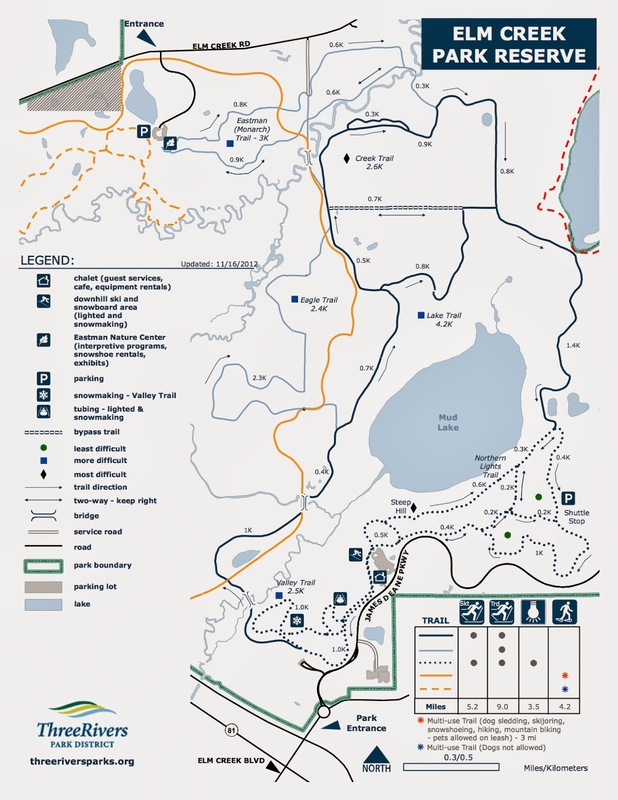 This is the map of all the trails so a pretty extensive area that I can't wait to explore when we have a good dump of natural snow, hopefully soon. 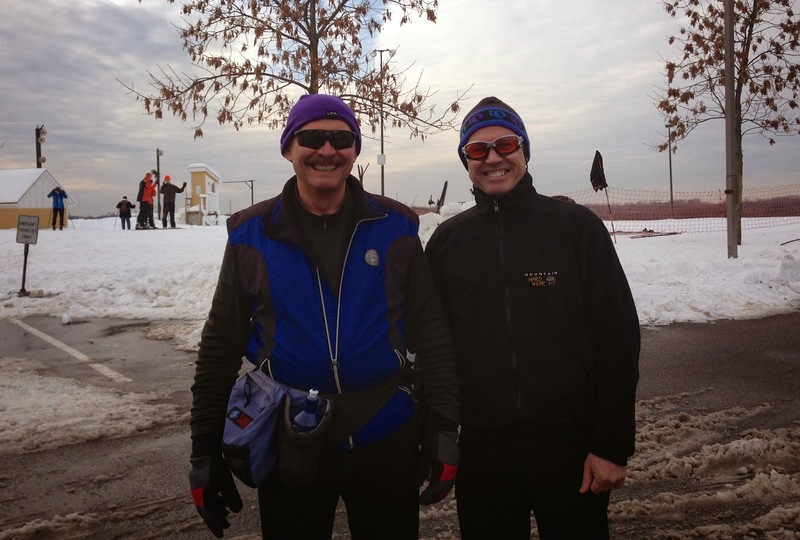 When getting ready to leave I ran into a fellow Birchlegger (a skier that has done 20 or more American Birkebeiner ski races in Northern Wisconsin) who was also taking advantage of the snow at Elm Creek. Steve and I have been newly elected to the Birchleggings Club Board of Directors, which was just formed this past summer. We had our first meeting in Eau Claire in the fall. Both Steve and I have been assisting John Kotar, the founder of the Birchleggings Club. I have been the webmaster and social media coordinator and continue in that role. Steve has done a lot with the Birchlegger clothing line. We both live in the Twin Cities area. 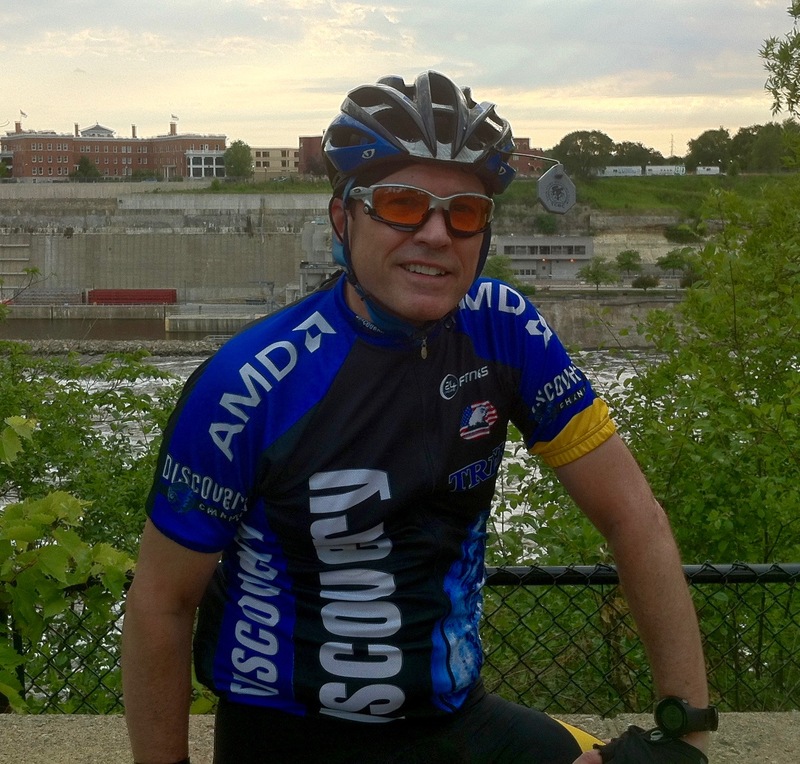 This is the screen shot from the Moves Count website, where I upload data from my Suunto Ambit2 S sports watch. If you click on the picture it will take you to the site with all the stats. The temperature was a nice 2C with a slight wind from the northwest. It was partially sunny when we got there around noon but clouded up into mid-afternoon.